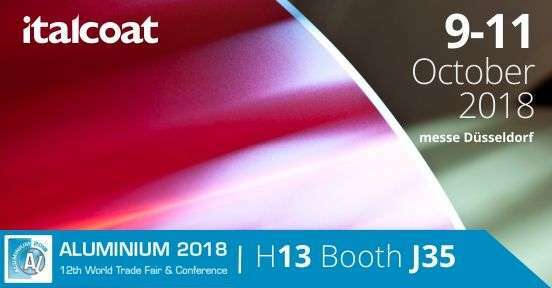 Italcoat will take part in Aluminium 2018 the most important fair in the world for aluminum industry. The fair will take place from 9.10 to 11.10 in Düsseldorf, Germany. The company will be present with an area entirely dedicated to innovation in the food and hvac-r industries. About hvac-r sector we’ll present our hygroscopic lacquer, hydrophilic lacquer and antimicrobial coating. As regards food market we’ll present the innovative Bake-eeze® system and the Happy Day non-stick trays realised by our subsidiary Contital and the new embossed braille project devised by our partner Conseal.